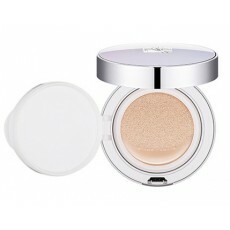 Here is a cushion from Missha that gives your skin a perfectly glowing, luminous and healthy complexion. Formulated with 42,6% hydrating essences that keeps your skin moisturized in 12 hours and at the same time protect it from the sun with its high SPF content of 50. It is the cushion that your skin will love from a longer coverage to making it a photo perfect ready! You can read an informative blog about Missha Signature Essence Cushion in this site. Using the sponge that comes with the cushion, press it gently to get an appropriate amount and pat it gently to your face starting from the middle going outwards. Pat, pat, pat until you get the right coverage.